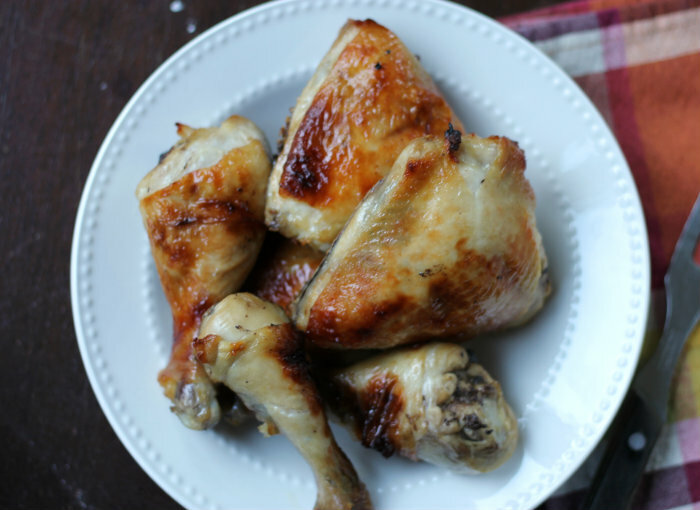 I can remember as a kid one of our biggest treats in the summertime was when my mom made chicken on the grill. The grill wasn’t one of the fancy ones that we see today. It was one of those cheap ones that didn’t have a cover, it had a “hood” that covered half of it. Do you remember those? But you know what? 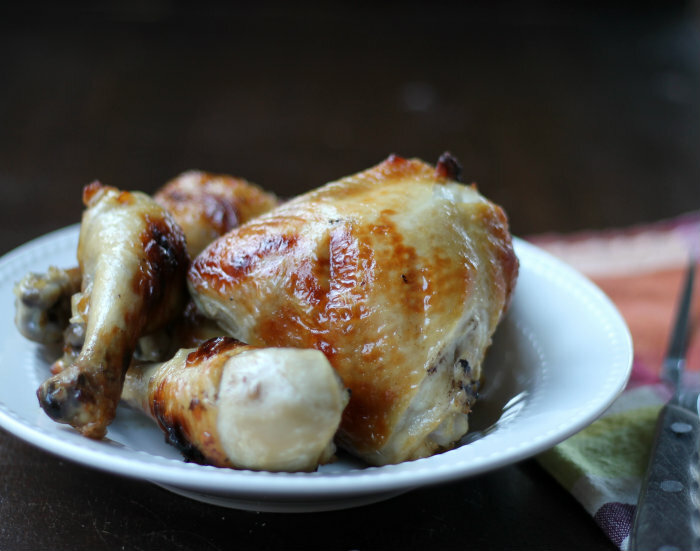 My mom made some of the best-grilled chicken or as we called charcoal chicken. She would baste it with butter and beer and the skin would get crispy and the meat would be all moist and tender. I still taste how good this is. I think I have captured a little of my mom’s chicken in this recipe. Although this is made under the broiler the skin is crispy and the meat is totally moist. The difference between the two chickens that the recipe that I used is the chicken is not just basted, but marinated in the beer for about 8 hours. Also, there is a little bit of brown sugar that gives the chicken a hint of sweetness. Good stuff. 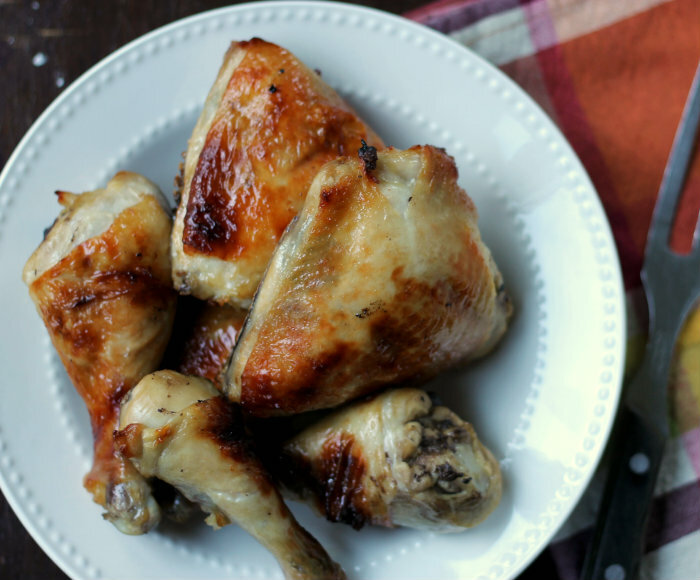 You can give me chicken marinated in beer any day of the week… I am sure to be one happy lady. 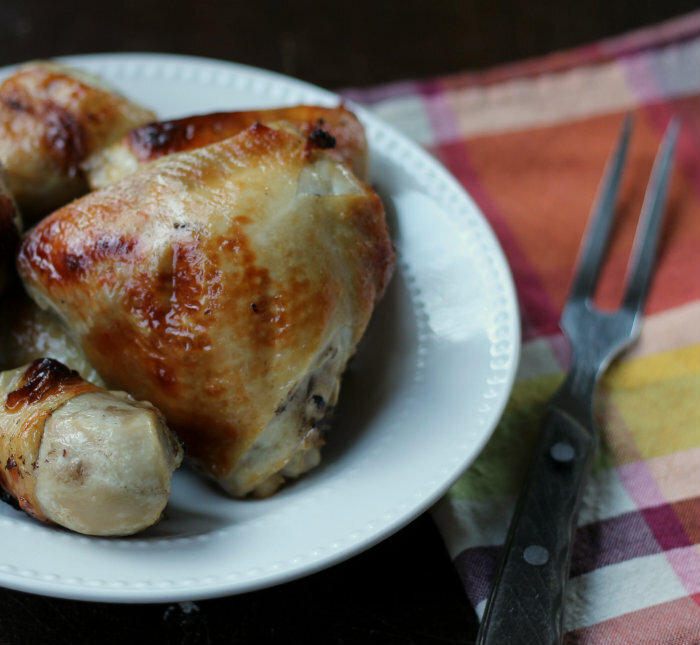 Place the thighs and drumsticks in a large Ziploc bag. In a medium bowl mix all of the ingredients for the marinade. Pour into the bag with the chicken. Set the bag of chicken in a container where the bag can lay flat and place in the refrigerator. Let it marinate for about 8 hours; turning the bag every once in a while. Heat the broiler and place the oven rack in about the middle of the oven, so the chicken doesn't brown too quickly. Remove the chicken from the marinade and place on a broiler pan that has been sprayed with a nonstick cooking spray. Place under the broiler and turn about every 15 minutes; basting with the marinade. Broil until the chicken is tender and juices run clear. Adapted from the cookbook Joy Of Cooking. The chicken has turned out really tender and I bet the beer must have given it a really nice flavour. Marinating chicken in beer is genius. All of the marinade ingredients sound really interesting together, and I have all of them on hand. I love the beer glaze on this! And that you made it in the oven, since we don’t have a grill!